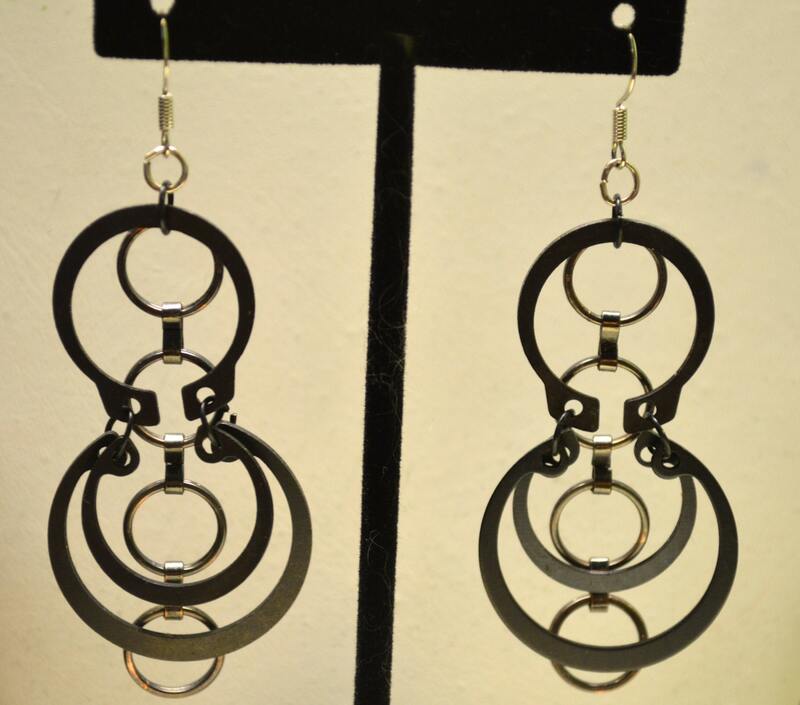 These elegant and edgy Up-Cycled Black Hardware EARRINGS are a Unique and Bold addition to your style. 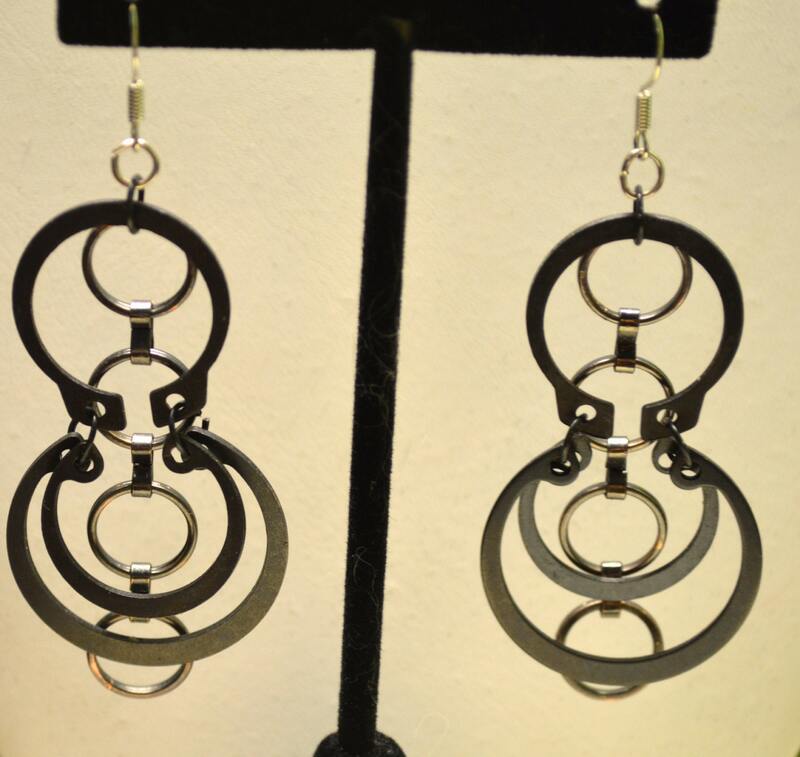 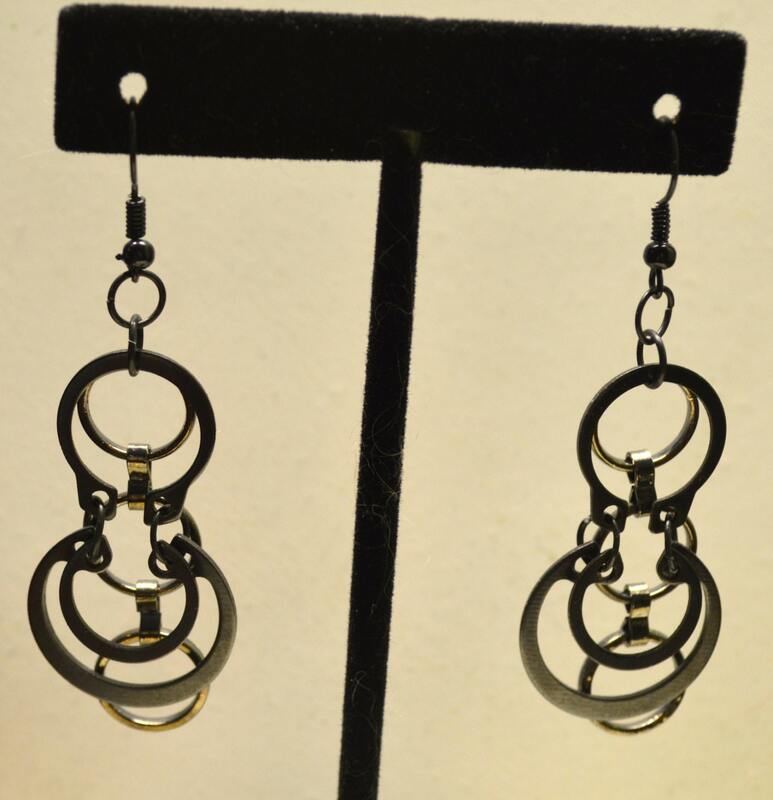 They are made from recycled hardware retaining rings and snap rings that have been assembled with Black Circle Chain. 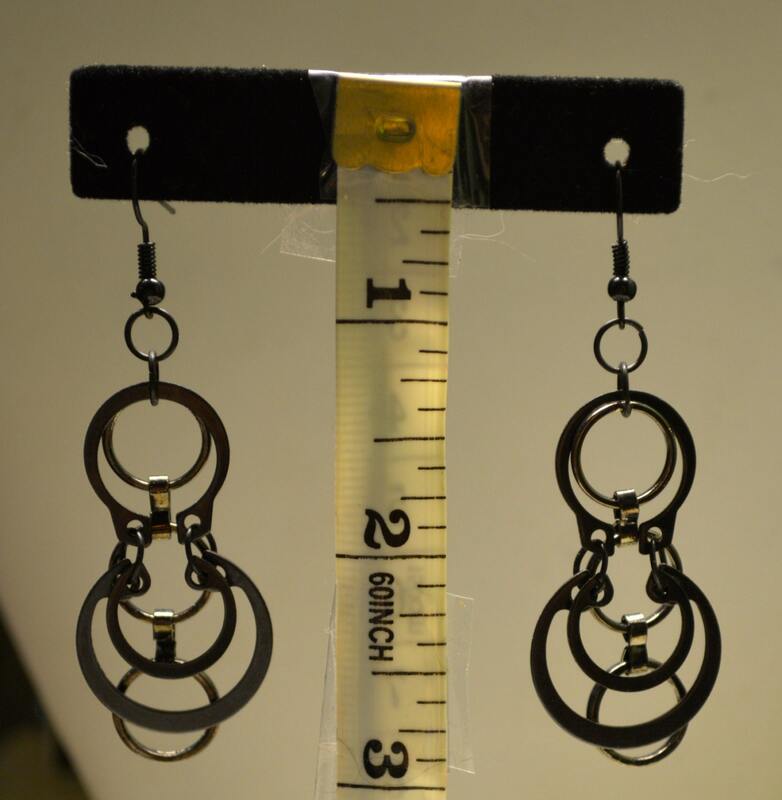 They can be made in VARIOUS SIZES! 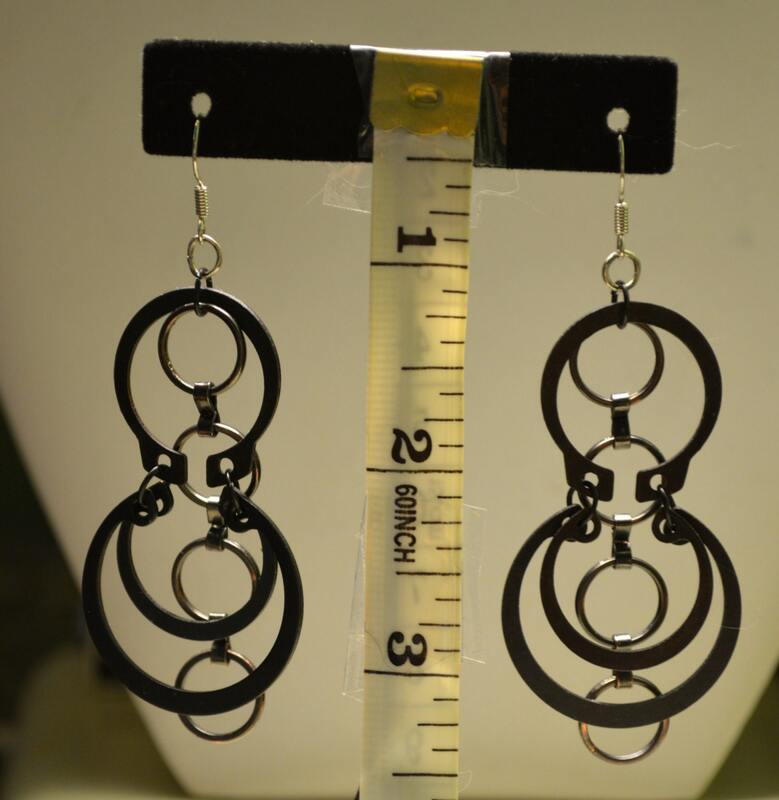 I have pictured similar pairs in 2 size: small= 1.75 inches; large= 2 inches.